With miles of fun, old and new characters to meet, places to eat and tons to do, there is never going to be a more perfect time than right now, to make your dreams come true with a Walt Disney World vacation. Thinking about going to Walt Disney World? Great! First let me tell you a little bit about Walt Disney World. Wanting to make Disneyland bigger and better, Walt Disney set out to find the perfect place to build his dream. He found it in Bay Lake, Florida. He secretly began buying land in large acreages cheaply until word got out that it was Disney buying the land for a new theme park. Once the secret was out, the price of land boomed. Walt Disney died on December 15th, 1966 before construction began on WDW. His brother Roy took the reins to make his brother’s dream come true. Walt Disney World opened on October 1, 1971. Magic Kingdom was the only park along with The Contemporary and Polynesian resort. Several of the original rides are still opened today at WDW. 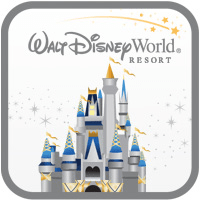 From cast members, to the resorts, pools, attractions, numerous dining, and Disney’s own transpiration, Disney World takes into a world full of magic, wonder, and fun. Disney property covers over 27,000 acres so there is plenty of more growth for parks, resorts, restaurants, golf course and just plain ole fun. Disney offers over 25 themed resorts, 4 theme parks, 2 water parks, and 4 golf courses (2 are themed miniature golf courses). Interested in getting a Quote? Click the Button to get a FREE, NO OBLIGATION Quote for your Walt Disney World Vacation. Magic Kingdom Park was the first park built at Walt Disney World Resort. The park opened on October 1, 1971. 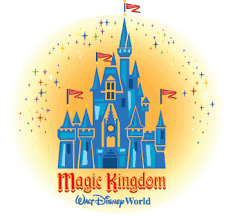 The Magic Kingdom Park sits on 107 acres and is located off Interstate 4 on the Walt Disney World Resort property. Magic Kingdom spans across 6 lands where fantasy becomes reality as you experience Adventure Land, Frontier land, Liberty Square, Fantasyland (Disney’s biggest expansion YET), Tomorrowland, and Main Street U.S.A.
Magic Kingdom is full of everything you could imagine the happiest place on earth to have. Magic Kingdom is home to very popular attractions like Pirates of the Caribbean, It’s a Small World, Winnie the Pooh, Dumbo, Space Mountain, Splash Mountain, and Big Thunder Mountain. EPCOT opened on October 1, 1982. EPCOT sits on 300 acres and is located off Interstate 4 on the Walt Disney World Resort property. EPCOT is an acronym for Experimental Prototype Community of Tomorrow. EPCOT has two main themed areas, Future World and World Showcase. In Future World you can blast off through space, glide over the world, and drive a car you design. Future World is the host to several different pavilions which offer unique attractions, shopping, and dining for just that area. EPCOT World Showcase is where you can experience, dine, shop, and interact with 11 countries and the people who live there. 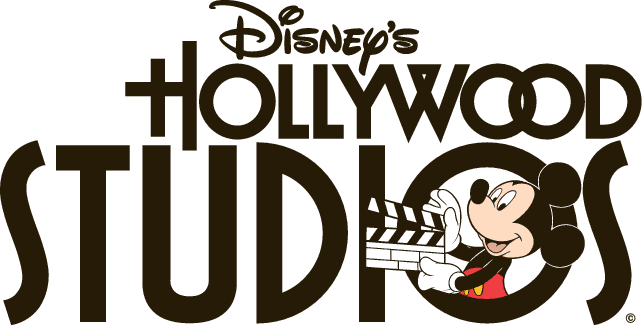 Hollywood Studios opened on May 1, 1989 as MGM Studios and sits on 135 acres. Hollywood Studios features 7 sections: Hollywood Boulevard, Echo Lake, Muppet Courtyard, Sunset Boulevard, Commissary Lane, Pixar Place and Animation Courtyard areas. Two additional sections are in the works for Star Wars Land and Toy Story Land. Popular attractions here are Tower of Terror, Toy Story Mania, Rockin Roller Coaster, and Star Wars. Animal Kingdom is the largest of the 4 theme parks covering 580 acres. The park opened on April 22, 1998. The park is dedicated around the natural environment and animal conservation something Walt himself was very much a part of. The park is represented by the Tree of Life, a sculpted 145-foot artificial tree. Animal Kingdom is home to Kilimanjaro Safari, Expedition Everest, new nighttime entertainment, and coming to the park is World of Avatar. 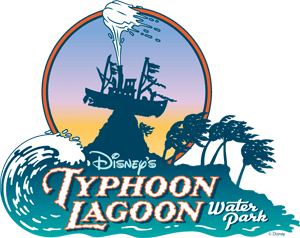 Disney’s Typhoon Lagoon water park is themed on a shipwreck after a storm. Snorkel in the coral reef, plunge down rushing rapids, sunbathe on the sandy beach and glide down the lazy river on a relaxing raft ride. All this and much more can be done at Disney’s Typhoon Lagoon water park. 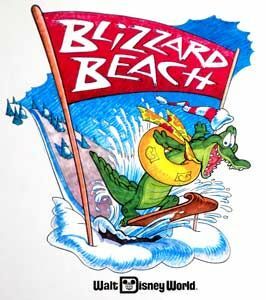 Disney’s Blizzard Beach water park is themed on a one-time ski resort that has melted into a watery wonderland. At Blizzard Beach you can ride Mount Gushmore, on one of the world’s tallest and fastest waterslides. Relax on the beach, go for a swim, or take a tranquil tube ride. There is something for everyone at every age at this “cool” water park. Disney Springs is an amazing outdoor shopping and eating area. With unique boutiques, awesome restaurants, world’s largest Disney store and fun filled entertainment this is a must see spot. Walt Disney World currently has more than 25 Disney Resorts hotels to pick from for all types of budget levels. With so many resorts to choose from, it can be hard to choose which one is right for you. Your resort can be as much fun as going to a theme park because each resort has its own theme and style with magical touches that only Disney can provide.All resorts regardless of price has a food court, luggage service, pools and Disney transportation to the theme parks, Disney Springs and water parks. Click Here to see more details about the Resorts.